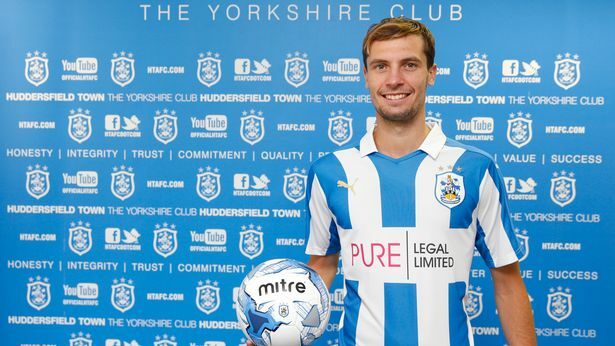 Transfer Window: How Huddersfield Town got it RIGHT! Transfer windows over the last few years have been met with much optimism and expectation, but on the whole have flattered to deceive. Town have gained a reputation for selling our best players, and haven’t reinvested massively, instead, filling gaps with loans and free transfers. However, the appointment of David Wagner in November last year signalled a change in the way the club was run from top to bottom, and that included recruitment. The summer of 2016 has been arguably the best transfer window since the clubs return to the Championship in 2012, and this article outlines how it was such a success. In order to gel the squad in the way he liked, David Wagner felt it was crucial to get the bulk of his transfer business done early. This was the case, with 13 out of the 14 summer signings being implemented into the set-up prior to the season starting. A Bear Grylls-like team bonding trip to Sweden before pre-season involved the majority of the new arrivals, and the togetherness both on and off the pitch has been obviously crucial in Town’s wonderful start to the league campaign. As previously stated, the club has unfortunately gained a reputation over recent seasons for selling its better players to teams in the Championship. This has no doubt contributed massively to our stifled progression, and that had to change if the club seriously wanted to take the ‘step-change’ that is so often mentioned. Nahki Wells was the player that was focussed on throughout the window, however Dean Hoyle and David Wagner were both adamant the he would remain a Huddersfield Town footballer, and it has been since revealed that Wells himself didn’t want to leave at this current time. Philip Billing was another player that Town kept a hold of, and there has been new contracts for many of the existing younger players that Wagner rates highly. Town have often been criticised in recent years over their defensive performances, and there has always seemed to be obvious weak-links within the team. However this season, the Head Coach, alongside Stuart Webber, have outlined a requirement for a quality backbone. With the acquisition of Danny Ward from Liverpool, we now have top-drawer goalkeeper, that has already, and will to continue to save points. German recruits Christopher Schindler and Chris Löwe have both sured up the defence, and shown their class with the ball at their feet. Aaron Mooy, on loan from Manchester City is arguably the best passer of a ball that Town fans have seen during Dean Hoyle’s reign, and if he stays fit for a full season, he could play a key role in deciding where Town finish come May. Up top, Elias Kachunga has been a revelation. His work rate is as good as you’ll see, and he offers an outlet at all times – which is a bonus for those behind him. He currently has the strikers shirt, and it looks as though Nahki Wells will thrive off the competition Kachunga poses. Not words you’d usually associate with Huddersfield Town, huh? The new Football League loan rules mean that squads have got bigger, and in Town’s case, David Wagner now has at least two quality players for every position. Dean Whitehead for example, was a key player for Town last year, however looks likely to be a squad player this term. It is almost frightening to think that Town have Jon Gorenc Stankovic and Michael Hefele both currently third and fourth centre-back choices – both with bags of quality and tipped to be top players in the future. Wagner has stressed the importance of having such a high-class squad due to his full-throttle football and rotation system. Credit must also go to Dean Hoyle for providing the head coach with the resources to establish such a squad. The only criticism of this window’s business by some fans has been the lack of a third striker, however Wagner has recently insisted that he doesn’t want one as it “doesn’t make sense in our system”. In a summer which has seen Aston Villa and Newcastle spend over £110 million between them, people wouldn’t be wrong to question how sides like Town can compete with them financially. The answer is that we simply can’t. But what we can do, and have done, is to try to get value for the money that we have spent. Reportedly the club has spent around £5million, much more than usual, but still only a fraction of many clubs. Town have obviously been more active in the foreign market, and that has opened up opportunities to get some very good players, for not as much money. The transfer of Christopher Schindler broke the club’s record fee, at around £1.8million, but for a player of that quality in England, the fee would most likely be extortionate. The fact that the squad isn’t built on large price tags also means the players can perform without major personal pressure. The summer window was filled with nothing but positivity, and the start to the season has certainly exceeded any expectations, so its safe to say David Wagner and Huddersfield Town got it right in the way of transfers. With Dean Hoyle prepared to supply funds in January if the club are still ‘up there’, there is a feeling that this season might just be a special one. Previous Van La Parra bites Wolves as the Terriers take another 3 points! Next Mooy’s the man as Town go four points clear!